This entry was written by Princess Alethea and posted on April 6, 2016 at 7:18 am and filed under contests, Trix Adventures. Bookmark the permalink. Follow any comments here with the RSS feed for this post. After finishing Trixter and Enchanted recently. My reviews for both are on my blog. 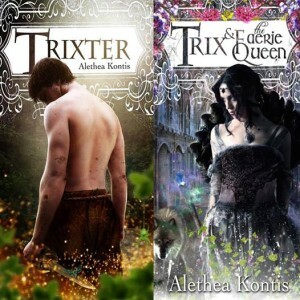 I can’t wait to read Trix and the Faerie Queen as I am dying to know what happens to Saturday. Plus I still need to read and review Tales of Arilland. I can’t wait for Theiftess. Do you have a release date yet?